Have You Missed HBO on DISH Yet? It's getting tough for the entertainment consumer these days. It used to be that you could subscribe to one or two services for cable and be done with it. But now, as time progresses, providers started breaking things down into tier packages, and now there are so many different streaming service providers popping up that it's hurting the original business model to the point that we now have to wonder, just how many streaming services are we willing to buy into? Five, ten, fifteen? Nope... not from me. I'll just start reading more books and be done with it. Starting back on November 1st, depending on who you believe (I'm believing Dish**) either HBO pulled it's content from DISH or DISH blocked HBO from transmitting to it's viewers. Either way, DISH subscribers have been without HBO & Cinemax since November 1st, all because of a contractual dispute. Yes, yet one more contractual disagreement where the viewers pay the ultimate penalty, and when we're done paying that penalty, we will then get to pay more for what we were subscribing to, whether it be right away, or a few months down the road when they think we forgot about the dispute. 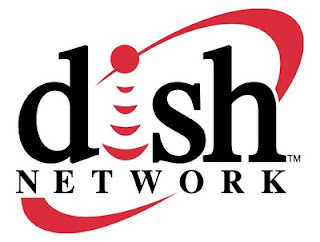 DISH is saying that AT&T owned WarnerMedia (HBO) is being anti-competitive while WarnerMedia says that it is still streaming their signal to DISH, but DISH is trying to play hard ball, while they refuse to deal with WarnerMedia's demands. FYI: DISH has a reputation for playing hardball when they don't like the deals they're facing from content providers. HBO wants DISH to pay more money and DISH is digging in hard. That bit about more money equates to HBO wanting DISH to pay them for a "guaranteed minimum number of HBO customers," whether DISH gets that count or not. This must be a pretty hefty number if DISH is digging in their heels. "HBO offered Dish more favorable terms than Dish had in the previous contract**, while Dish seems to be looking for a price reduction, saying that the market for HBO has changed." **Keep this in mind for a point further down. But the trick to this debacle isn't just restricted to HBO and DISH. This is only the latest of these disputes we keep getting punished with. Now that HBO is dark on DISH, HBO is trying to lure subscribers by offering a streaming deal with them for ~$15 month. Which hits another nerve of mine that resides in my wallet. That nerve being in just how many damn separate streaming services do we need to subscribe to? For me, I'm sticking with DISH, Netflix and Amazon Prime. No matter what else happens. Is Disney wants to pull all their content in under their own umbrella, then I guess if I don't catch in the theater, then... oh well. But then we have the concerns that now that AT&T owns HBO, well, is this their monopolizing the paying public? Does AT&T own too much of the entertainment industry and thus, creating an unfair business environment? Last year alone there were 29 different TV stations that were blacked out from negotiation issues. AT&T was one of these when they pulled NBC affiliate stations from DirectTV in Utah. Then again, in the past, Dish went dark with Networks such as Univision, Sinclair, Fox, Viacom and AMC. But at least, as I remember, AMC covered our asses when they streamed The Walking Dead for free during their darkened ordeal. A kind of f*! you to Dish. But while AT&T was looking to buy Time Warner and such, the Department of Justice had sued to block the purchase, saying this merge could cost American consumers much more at the wallet. AT&T argued that if they bought Time Warner, the merger would allow them to lower TV prices. Then after the merger took place, they raised the base price of its DirecTV Now streaming service by $5 per month. At this point, I must contest that I should not trust AT&T, WarnerMedia, HBO, if I want to judge them by their more recent past actions. IN FACT, with this new bit of info, if you go back up and see that AT&T suggested they were giving Dish a better deal with what ever they've offered them, obviously, I can now surmise that they ARE NOT, which is why DISH dug in. The bottom line here is that whenever there's a contract dispute over fees, WE WILL PAY FOR IT IN THE END. Period. If all the content providers start pulling their content back under their own streaming services, just how many services are we willing to afford or want to afford? Person of Interest was one show that I had taken notice of because once I missed the first-time airing of an episode, I couldn't find it in repeats anywhere that I was already paying for. So I quit trying to watch it altogether because I refuse to chase things down that rabbit hole. CBS started their own streaming service, and then tried to tempt us with it being the only place we can only watch the new Star Trek series they've been airing. Again... bummer. I'll just read about the show instead of burning more dollars and time. Then there's this thing where Disney is pulling their content back unto themselves and starting their own streaming service in 2019. We can feel that pinch where Netflix is "cancelling" their Marvel shows and then the only place we'll be able to catch Disney's content is on their own streaming service. Well, goodbye Marvel! Well, to be accurate, are we going to say goodbye to all content from Marvel, Pixar, Star Wars and Fox and it disappears down that hole? I'm prepared to see that happen. As it is, many folks I know have been cutting the cord to their TV subscriptions and buying the episodes of shows they only want to watch, instead of having a subscription with 300 channels of nothing else you'd watch. Much like how we used to have to buy music by the album, but now we can just buy the songs we want and move on. But the cord cutters are hurting these networks and streaming providers, since both Dish and AT&T have been experiencing declines in subscribers faster than they anticipated. And these blackouts from their squabbles aren't helping. If content providers and re-streaming services keep having fights about the money, it won't help them in the long run.